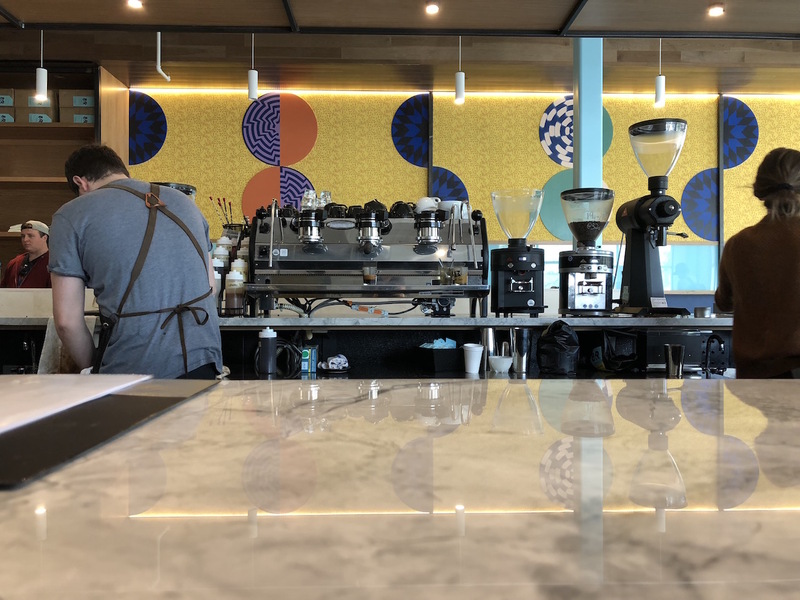 Inside the new 8th & Roast roastery cafe in West Nashville. 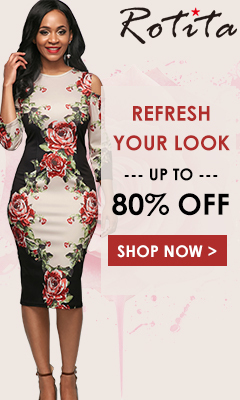 All photos courtesy of 8th & Roast. 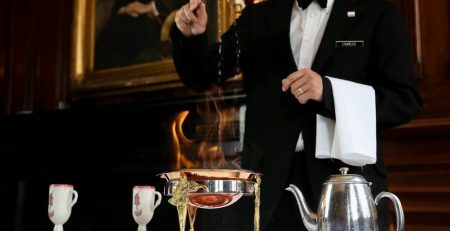 You can take a hot cup or a bag of beans out of 8th & Roast, but you can’t take the 8th & Roast off the bag or cup. 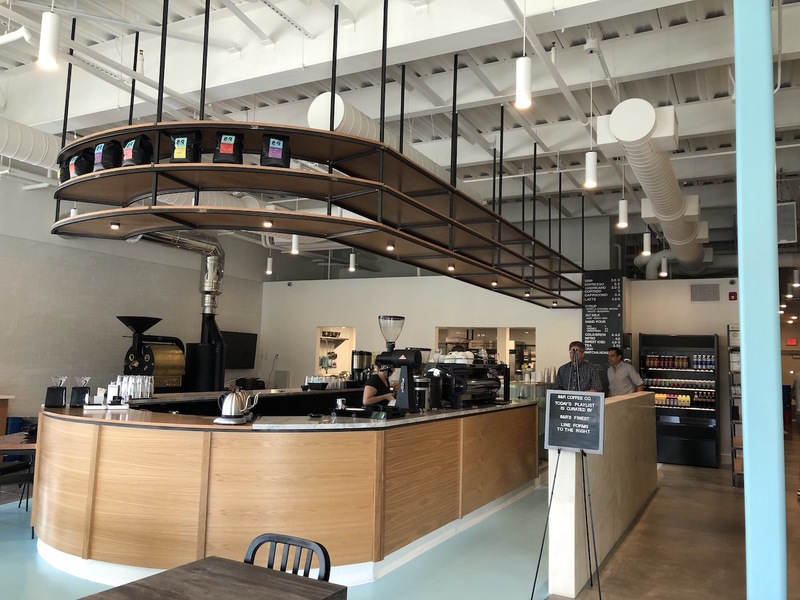 With a name referencing the coffee company’s first shop in Nashville, Tennessee, the coffee company has just opened another location, this time in West Nashville. 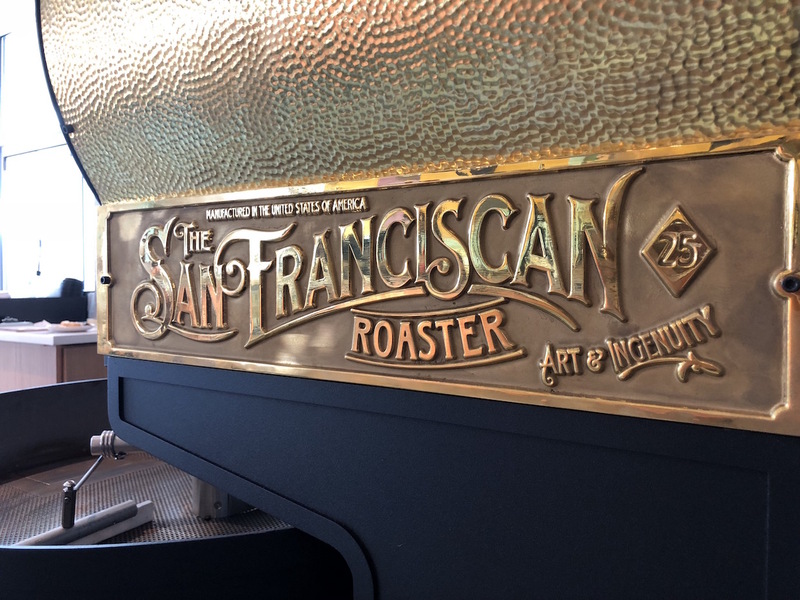 So far the company is making plenty of sense in its new 3,000-square-foot space inside the new Sylvan Station mixed-use building, where a brand new San Franciscan SF25 roaster commands the attention of patrons as soon as they pass through the doors. 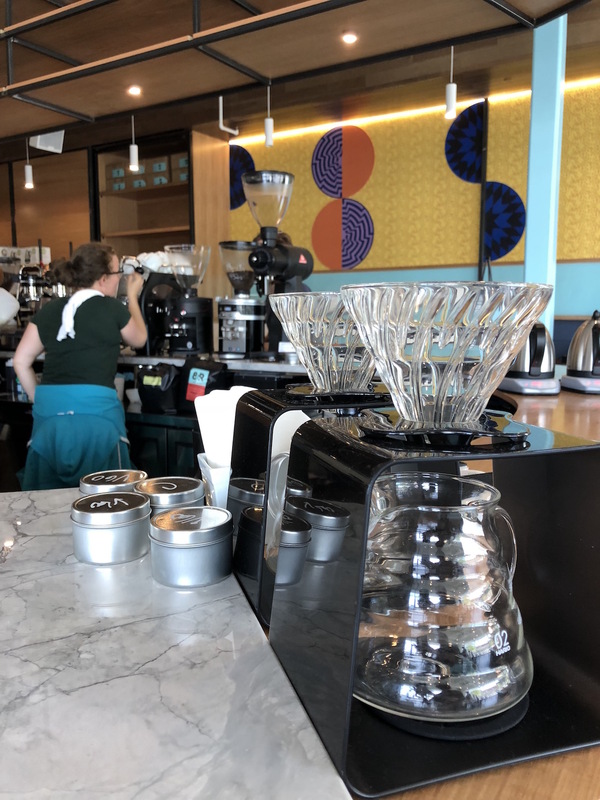 Earlier this summer in June, the company also opened an outpost at the Nashville International Airport, which makes Sylvan Station the third retail establishment for 8th & Roast. Jimmie Getty, the head roaster whose job it is to stand by the new machine for hours at a time, also enjoys being up front, as opposed to his previous post with a U.S. Roaster Corp 12-kilo machine in the backroom of the original location. The company is soon to sell off the old machine. The new shop’s circular bar also promotes engagement, opening up the brewing processes to patrons from every angle in the room. Lively colors and patterns beam from the new shop’s cheerful wallpaper and reflect from the blingy spread of new gear including a La Marzocco Strada EE paired with a Mahlkonig Peak grinder, an EK43 grinding for 6-cup Chemex brews, Hario V60 and Aeropress, all hand-poured from Bonavita kettles. 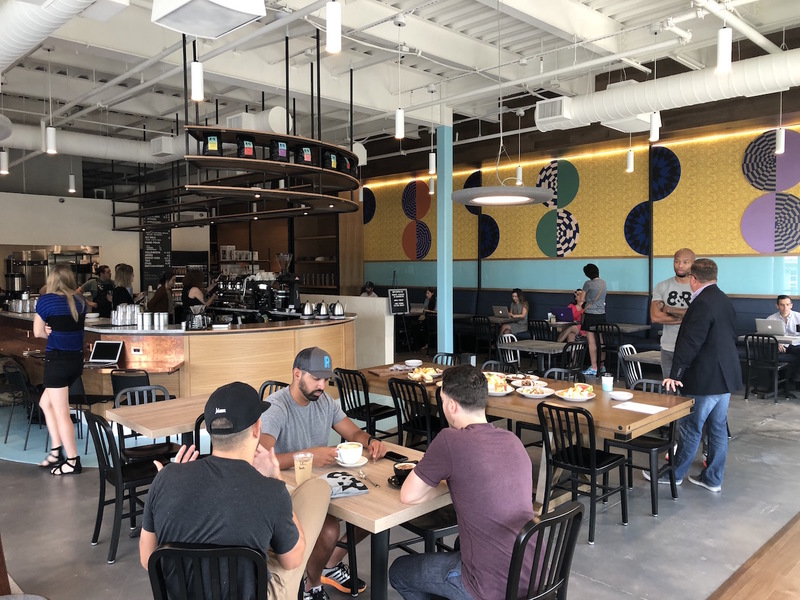 Interspersed among the spacious and modern environs are a few items and details like an exposed brick wall that nod to the vintage spirit of the original 8th Street shop, which was built into a 1940s-era building and maintains much of its vintage charm. Reed added that while the new shop’s modernity is a departure from the personality of the original, with it came the opportunity to draw up the floor plan with exactly the orientation, infrastructure and specs that they wanted, rather than having to conform to an existing structure. 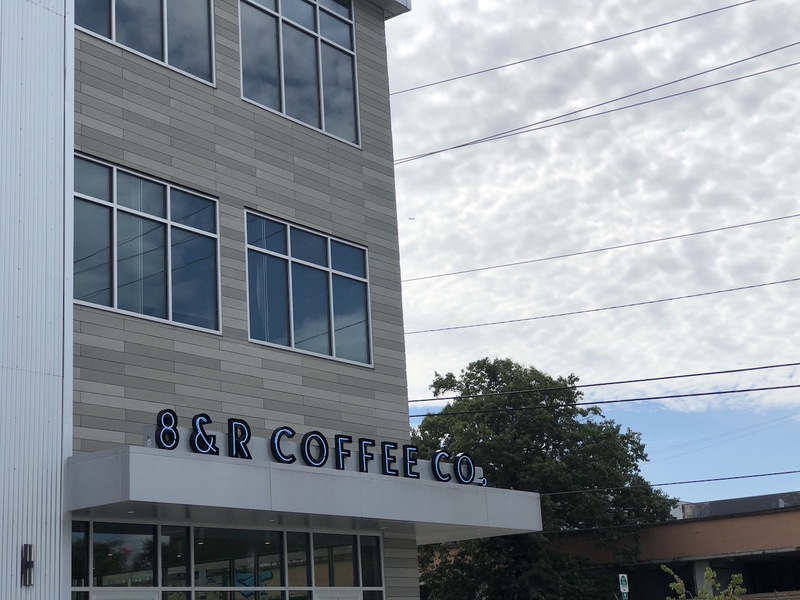 Other ongoing projects at 8&R include the company’s collaborative contributions to Nashville-based coffee beers, and a continual pursuit of the perfect whiskey barrel-aging process. Reed, who considers himself an avid bourbon hunter and collector, was excited to partner with Nelson’s Green Brier Distillery for access to Belle Meade bourbon barrels, while Getty enjoys the tinkering with different origins, roast levels and containment durations. Getty and Reed agree that the barrel-age categories will never be a main focus for the company, but that doesn’t make experimenting with them any less fun. 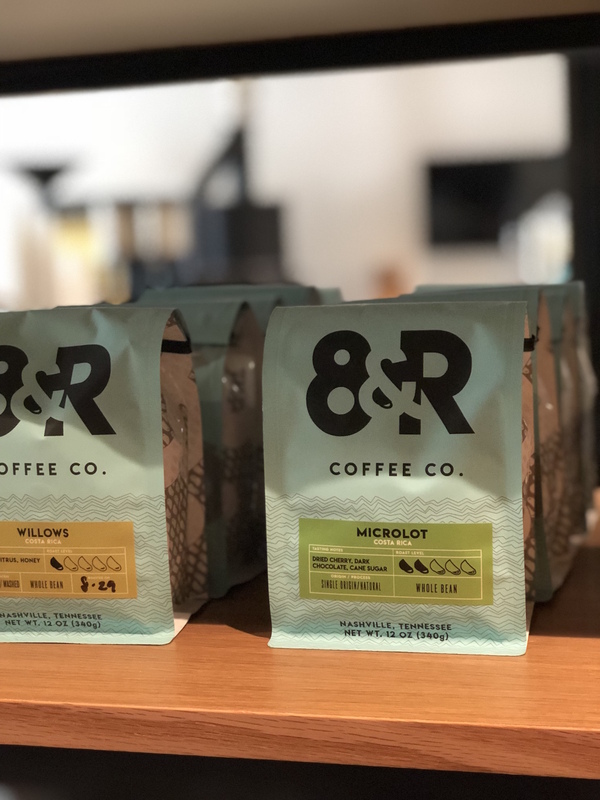 The larger focus is expanding wholesale and online sales, while also maintaining the element of craft associated with small-batch roasting for their own cafes. 8th & Roast’s new Sylvan Station shop is located at 4104 Charlotte Ave in West Nashville.